We would like to thank the Canadian Bible Society for their generous donation of Bibles to Camp Shalom. Every camper who needs a Bible can be given one free of charge. We are also excited that our new Bibles are a version specifically made for summer camps called the Adventure for Life Bible. See a preview here. 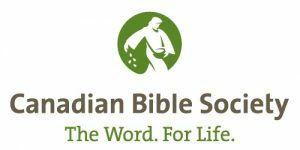 For more information about the Canadian Bible Society and how you could get involved with their ministry click here.